Pros: They work -- but very fragile, break easily. Cons: I've tried a couple of these. They're cheaply made and will break or come apart. Other Thoughts: Not well made -- you're much better off to spend the couple of dollars extra and buy high quality couplers. 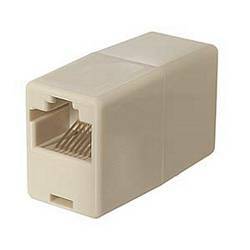 One of these would be okay if you're connecting a pair of cables that will not need to be plugged/unplugged repeatedly and there's never any stress on the coupler. Buy a better one for most applications and save yourself the headache of replacing it later.